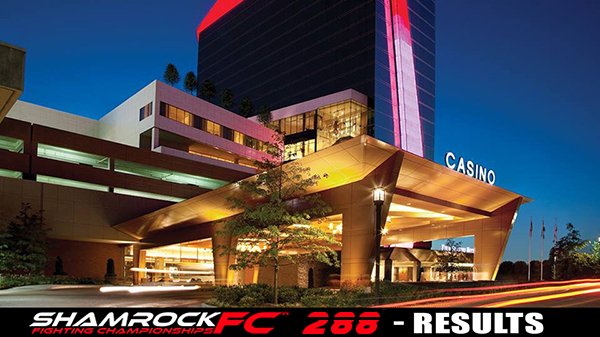 Saturday evening Shamrock FC returned to the Lumiere Casino for the second time within a month for 288 Xtreme. This is the second mixed card of the year for the brand, and was headlined by top boxing prospect Raymond Handson taking on Terrence Akins. Despite some last second drop offs that are unfortunately part of the fight game, the show took off without a hitch. No MMA fights were present on this night, the pro portion of the card was all boxing, and the undercard was filled with amateur kickboxing bouts. There were many stoppages on this evening, to the joy of the crowd. Raymond Handson returned to action to headline against Terrence Akins. Early on Akins slipped a punch from Handson and capitalized on a counter combination that sent Handson down to a knee and earned an 8-count. As the bout wore on Akins landed some very solid straight crosses, and was able to get Handson to come to him enough that he was smothering his own punches, but Handson did find moments that he was able to land more with his length in numbers. To say these two really disliked each other would be an understatement, and as the final round started both boxers came out throwing with real intentions to end the fight. The contest did end up going the distance, and by majority decision the winner was Raymond Handson. Joshua Temple, 2-0 on his young pro career, has a lot of hype and qualifications behind him. On this evening, Temple had Raymond Gray standing across from him trying to hand him his first loss. Temple had the height and reach advantage as Gray stayed very measured and gauged the distance. Temple was able to land a hook and earn a 8-count early, but Gray didn't not look very phased at all in returning back to the bout. Temple was able to create another 8-count as the round closed, but Gray recovered and made it to the resting minute. Things got chippy in the second round, and while Gray was able to land some select crosses, he was just simply overwhelmed by the volume of Temple while he was pinned in the corner. Right at the end of the second round, the bout was stopped, and Josh Temple earned himself the second round TKO. Juzzton Hill met Lavelle Hadley in the second professional boxing match of the evening. Hadley looked to corner Hill and pressure him, as Hill looked to play the role of counter-puncher. The first round was pretty close, but in the second Hadley seemed to separate himself and land more effective shots. As the second round came to a close it appeared even again as both boxers traded nice combinations as they stood toe to toe. Once again, the end of the third round both boxers stood in the pocket trading with dirty boxing along the ropes. The fourth and final round was another gritty, tough round to close it out. In the end Juzzton Hill was scored as landing the more effective strikes during the given rounds, giving him the unanimous decision win. Chris Gideon stepped up on short notice to take on Brandon Johnson in the first professional boxing match of the evening. Brandon Johnson had an entire crowd on its feet before the bout even started, and he did not disappoint. Gideon stepped right into the pocket against Johnson, and Johnson quickly landed a fast flurry of extremely heavy punches from the body to the head that sent Gideon crashing down to the canvas, making Johnson the winner early and in devastating fashion. The remaining amateur undercard was all kickboxing, and was nothing short on entertainment with plenty of stoppages. Mark Kirkland has looked impressive to start the year, notching a few wins early on. He looked to continue the streak against a game George Woods. As Woods looked to close the gap early Kirkland landed a solid lead right hook that put Woods on wobbly legs and caused an early 8-count. Kirkland landed multiple combinations throughout the first round as Woods attempted a couple clinches that never produced the shots he was seeking. Woods stayed resilient as Kirkland had more success in the second round, pinning Woods along the ropes and throwing Tyson-like hook/uppercut combinations with power. Towards the end of the second Kirkland earned another 8-count on Woods after a strong combination finished to the head of Woods. Early in the third Kirkland put the finishing touches on his work as he pinned Woods against the ropes one final time and threw a menacing lead hook to cross combination that rocked Woods enough for the bout to be ended, making Mark Kirkland the winner by TKO in impressive fashion. Juan Drullat came out firing against Floyd Shahan, but he walked right into a punch from Shahan that floored him quickly. After answering the initial 8-count, he stormed forward once again. Shahan responded again by landing a shot that made him drop to a quick knee and cause another 8-count. Not learning from his first two mistakes, Drullat for the third time rushed Shahan, and for the third time in the round, Shahan blasted him with a combination that caused referee John Duever to step in and end the fight. Shahan out of the Academy of Courage won impressively by TKO in round 1. A very high energy first round between Dominick Boyd and Jon Graves saw Graves come out fast and throwing in numbers. Boyd was able to use some good technique to block some select hooks and counter, enduring the initial storm. The second round provided even more high paced entertainment, and despite his fatigue, Graves would not relent as the two traded moments of success. Boyd kept pressure on and also landed the most strikes in the final round, which earned him the win by decision. Marye Dalton came out landing a litany of round kicks against Shannon Robinson, as Robinson looked to counter the kicks with right hands coming over the top. Robinson was able to land some good shots in return, but Dalton appeared successful in taxing Robinson's legs and slowing her down. The second round was more of the same, but towards the end of the third round Dalton landed a vicious head kick that sent Robinson backwards and flat to the canvas, almost as if in slow-motion, earning Dalton the knockout victory in grand fashion. Mark Perkins started out the evening with a quick first round knockout over Christ Watkins, landing a devastating right hand that sent Watkins down right as the round was getting ready to end. 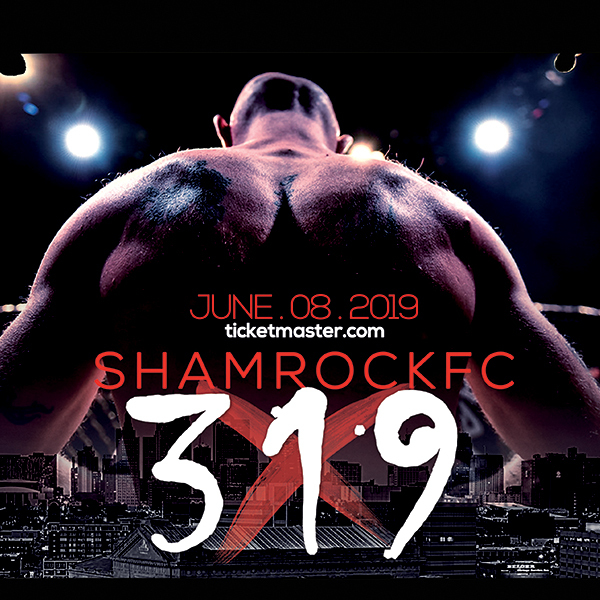 Shamrock FC heads to Kansas City later this month for Shamrock FC 289 headlined by Bobby Voelker taking on Zak Bucia, before returning to St. Louis on June 2nd for Shamrock FC 290.